OMG Posters! » Archive Dan Mumford's New Phish Posters (Onsale Info) - OMG Posters! 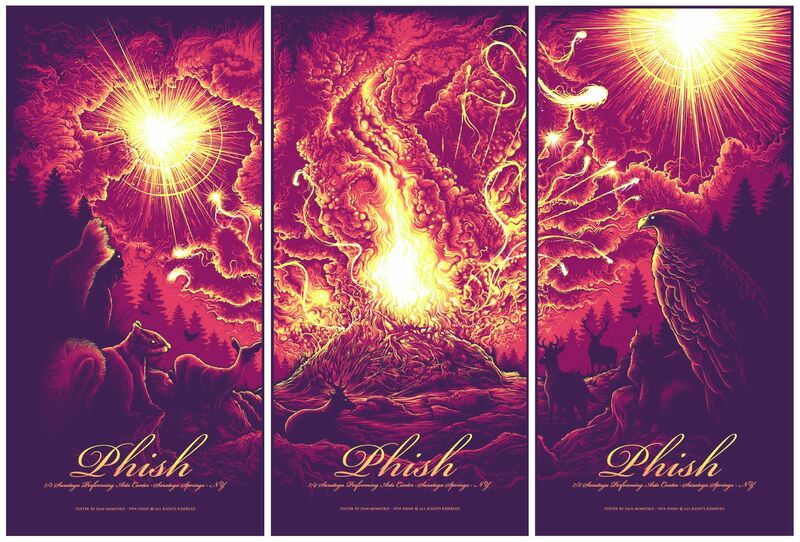 UK artist Dan Mumford will release three new Phish posters next week. The set includes three 12″ x 24″ screenprints for £100/set. Very few will be sold online. These go up Tuesday, August 26th at 5pm BST (12pm Eastern Time). Visit his shop. How much can I flip these for? EB is down.